from Matthews Presbyterian Church in North Carolina come help us take a few more steps closer to being ready to open our doors to survivors. They quickly and efficiently installed windows and sheetrock in our staff house. It really is amazing to physically see everything coming together for the women who will be pursuing healing and restoration in their lives. What’s even more encouraging is seeing all the willing hands and eager hearts that have helped make this dream a tangible reality. The NC team also helped us diligently sort through many, many clothing donations and organize them by size into bins! The women who will go through our program are so blessed already! Excitement continues to rise as God’s unfailing grace fallsall over this ministry. After all the miles Ariel drove for Miles For Survivors, and with all the money raised, we were able to put a much needed new roof on the staff house! We definitely couldn’t have done it without our generous supporters and wonderful volunteers. That’s right, we met our $40,000 goal!! Praise the Lord!! A few ladies from Lifeline church in Princeton, WV (our home church) made time and effort to pray over and through every room in the staff house as well as over Ariel and Jalyn. Jalyn was able to visit Gary for the first time and see where our houses are located and all the progress we’ve made so far. Jalyn had a fundraiser on her personal social media account for Zera House and brought in $2,000!!! She has been an upbeat, proactive, and an overall awesome addition to our team! in particular who did some tough demolition work in the kitchen of our Zera House home. Although there were some unexpected setbacks, we are trusting fully in God and his perfect timing. Thank you Jake, Clayton, and Tyler!!! Not only did they fearlessly tackle the kitchen situation, but they arrived with a truckload full of donated supplies and a very generous monetary donation. We think about the men that, unfortunately, these women are so hurt by and here the Lord is using men to completely bless our survivors. We would not be where we are today without all of the amazing men who have invested their time into the future of Zera House. who came to visit us! Tim and Katie helped with turning our bathroom into an office/storage unit which required removing and sealing the toilets. And with the help from their kids, painted the living room at one of the staff houses, and helped sand and frame windows in the ZH dorm rooms. What an awesome family and a great blessing to us! On the Local News                                     Zera House has been featured on the local news not once, but TWICE! !The first time, Ariel was contacted by a local station through a mutual acquaintance. However, the second time was quite a surprise as Ariel was attending a local Lunch and Learn at the McDowell County Chamber of Commerce to share about Zera House. A reporter was there ready to interview and eager to write a story about ZH. The most exciting part about all of this is that we are the FIRST program in West Virginia for survivors of human trafficking. OUR DORM ROOMS ARE COMING ALONG! PAINT COLOR WENT ON THE DORM ROOM WALLS! LOOK AT THAT SMILE!! especially after we open our doors this fall. So, we are so thankful for those who have committed to supporting us financially and through prayer and we are constantly seeking new partnerships near and far. Our estimated annual budget for our program is about $214,000. If we break that down, that’s covering five women (about $42,000 per woman) in our program which includes things like housing, transportation, food, utilities, emergencies, marketing, insurance…etc. we’re looking for solid women of God to be our House Moms and Resident Assistants! They are responsible for overseeing the daily activities of our residents, ensuring that each woman is supported and guided with Biblically sound teaching, and that they feel safe, secure, and loved. Currently, the House Mom and Resident Assistant are responsible for raising their own funds as a missionary with Zera House. Please join us in prayer over the women who will be in our program, as well for the women who will be the House Moms and Resident Assistants! If you are interested, or know someone who would be, please do not hesitate to contact us! We cannot believe the way the Lord is orchestrating our ever growing family! We are very happy to announce four of our newest board and team members! 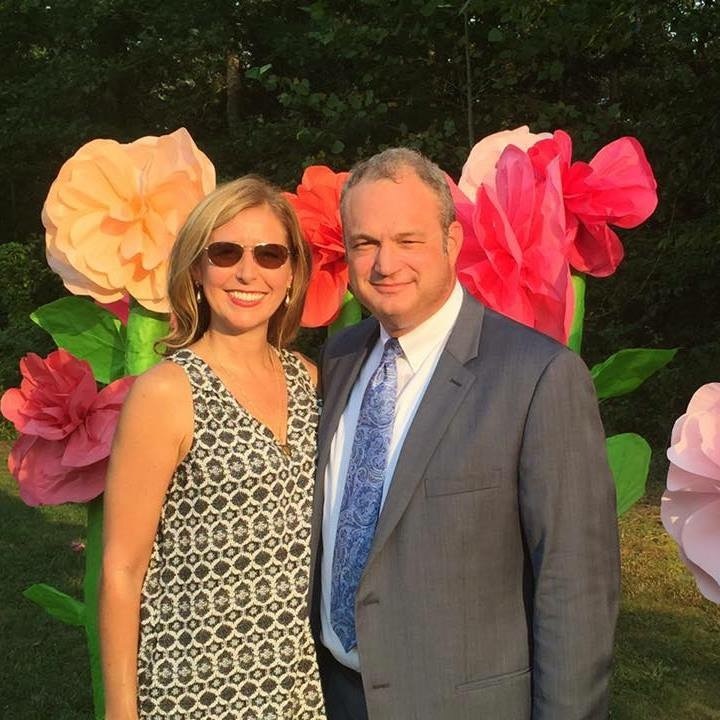 "Bob is senior deputy attorney general with the West Virginia Attorney General’s Office and has been combating human trafficking for four years. I have been working on Zera House for 4 years just that part of my calling had not yet been revealed to me. My Wife is Amy. I have 3 dogs, Ricky (Dane mix) Loki ( Husky mix) and Brogan (Corgi pomeranian mix with Napoleon complex). All are rescues." "PRAISE THE LORD EVERYBODY!! I am Marcelena Howard. My friends call me Marcie. I was born in the mountains of West Virginia and then at a young age moved to Clevand, Ohio. I lived a fast paced life. I now realize I was just trying to get home to where I belong. In my travels, I was always drawn to the “fast crowd’. The majority of the women I surrounded myself with were abused addicts and sadly victim to pimps. I couldn't understand then but now see very clearly that these women needed to make a quota for he night and bring home money. Fear, lack of education, events from your past, can and will put a grip of guilt and shame on your life. Escape is the ONLY way out! After my third overdose… I was able to escape with the help of others. After I moved back to WV and gave my heart to God great things started happening. I became the Sunday school teacher for the women who were incarcerated. Given my history, I have always been drawn to those on the streets and continue to do ministry there. Along with “MINISTRY OF HELPS”, I realized my purpose and developed my potential. Through the Holy Spirit, I learned to play the Piano, saxophone and drums. I have been sent to help other churches and ministries. The Zera House is a great place for healing, learning of your potential and understanding freedom. IT’S AN HONOR TO BE A PART THE ZERA HOUSE!" "Hello there! My name is Rachel Bohannan, and I’m a sinner saved by grace- lots of it. I’m lots of other things too: a WV State Parole Officer, an athlete, an unashamed crazy cat lady, a daughter, a sister, and a friend. My calling has always been to protect and defend, to “speak up for those who cannot speak for themselves… to defend the rights of the poor and needy.” My vision ever since High School has been to be a part of a group that will provide a home where people who have been hurt and forgotten by the world can find healing, purpose, and redemption; I am so excited that the many surprising twists and turns my life has taken have led to right here, right now, with this group of people. My mission is to proclaim to people that they are worth it: worth loving, protecting, and standing for because Jesus Christ looked at me and said the exact same thing. If he says that about me, then it’s true for them as well! I am blessed to be a part of the things God is moving through in the Zera House, cannot wait to see the fruit that grows from this seed!" "Hello All! My name is Kelley, and I moved to southern West Virginia to pursue my undergraduate degree at Concord University. During my time there, my heart and mind were stretched. The friends (family) I made while at Concord, supported me in rediscovering my path towards a true relationship with Christ. I graduated with a degree in Psychology and Social Work, and I have been working with troubled youth in a non-profit group home and now work with a non-profit leading the next generation in leadership and civic engagement. During my free time, I love watching sports, playing with my cats, going to the shooting range, and playing video games. I find peace in enjoying the beauty of nature whether feeling small among the mountains or realizing God's love in the vastness of the sea. I love people, and my friends and family say I've never met a stranger. When I met Ariel and she shared what Zera House was doing, I knew immediately that God was doing great things through this team. My heart has always been drawn to helping those who are hurting, and helping them realize they are better than anything that has happen to them. 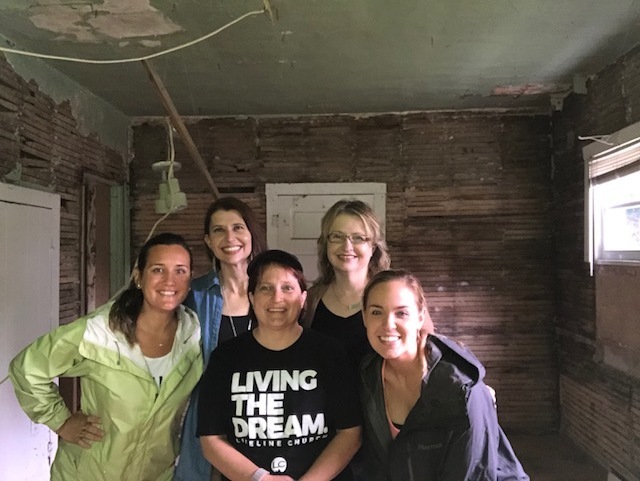 I can't wait to see how this house impacts the lives of the women through this program, and how this team grows and is strengthened though this mission." Zera House was invited to a screening of Break the Chain and sit on the panel following the film with the director, Laura E. Swanson and two other advocates. It was an honor for our director, Ariel to share the stage with these women who are all on the same mission, to combat human trafficking. We Highly recommend seeing this film to further educate yourself and others on the horrific epidemic that plagues our country and world. It was very well done and we will be using it as a tool to educate people further here at Zera House. Bravo, Laura!